Cañon City is a small city on the Arkansas River in south-central Colorado that’s best known as the gateway to the Royal Gorge Bridge and Park and the home of state and federal prisons, including Colorado’s death chamber. Major dinosaur discoveries were made at the Garden Park area seven miles north of the city and are recognized with the Dinosaur Depot Museum. The area also offers sightseeing and whitewater rafting on the Arkansas River. Cañon City was founded in 1859 during the Colorado Gold Rush and ore smelters were built there to process gold from mines in Cripple Creek. 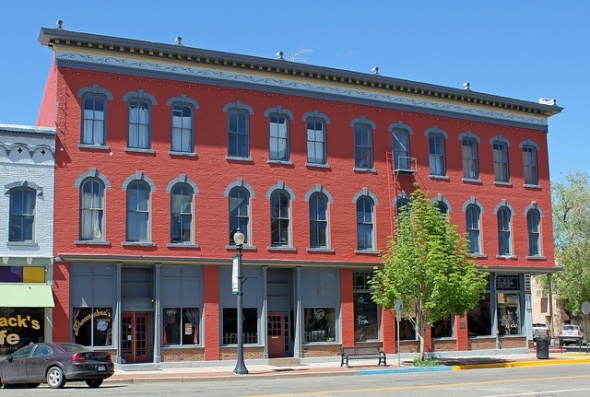 The downtown historic district earned a National Register of Historic Places listing for 81 commercial buildings lining Main Street. Most of them are two-story and were constructed of brick and stone between 1870 and 1920. Land area: 12 square miles. County: Fremont (Cañon City is county seat). Altitude: 5,332 feet above sea level.